QP Distribution could not be bothered to respond to me directly. I even told them prior I would escalate the matter. Patty Wimmer, the intelligent office manager that she is, totally disregarded my warning thinking it was a bluff. Well, it was not. And finally, David Schaefer, president of owner of QP Distribution responds to my written complaint to the BBB. His tone is a bit different and more cordial. Gee, I cannot imagine why. Here is his written response to my complaint verbatim, typos, grammatical errors, and all. I was so tempted to correct them but people need to know how David Schaefer truly wrote his reply on July 5, 2011. QP Distribution moved to Kansas in 2001, that business decision was based upon the geographic location of South Kansas in relation to the United States. It is approx 1500 miles to Los Angeles and 1500 miles to New York,from our shipping location. Kansas offers two key solutions to our distribution customers, we can provide the same cost to ship the the east coast or west coast as well as the same time frame. For our customer this provides a level price structure and balanced time of delivery. Our warehouses and distribution facility are located South of Wichita. In direct response to Matthew Chan Ascend Beyond Publishing I confirm that he was a customer of QP Distribution since 2003. Ascend Beyond Publishing had multiple titles stored in QP Distribution warehouse. QP Distribution charged Ascend Beyond $25.00 per month for storing 3 pallets of books the $25.00 included maling (sic) monthly statements and inventory reports as well as responding to any and all inquries (sic) from Matthew Chan via e-mail. We recieved (sic) a request from Matthew Chan for a quote to have his inventory destroyed ending Acend (sic) Beyond’s need for QP Distribution’s storage services. The warehouse manager caluated (sic) the weight of the books (as per contract we charge by the pound for disposal). We provided two rates for disposal 5 cents per pound to take the books to the land fill and 12 cents per pound to remove the glued spine and recycle the paper. We have a flat fee per title of $7.75 to remove the books from the warehouse, that have been requested to be destroyed. The service of recycling or disposing of books is normally done to remove titles that have been updated or expanded upon. Matthew Chan President of Ascend Beyond Publishing did request shipping a small quantity of books to his place of business in Columbus, Georgia. We quoted a price shipping via UPS Ground residental (sic) delivery. Matthew Chan then decided that he would use Ascend Beyond’s Federal Express Account. When QP Distribution ships using a thrid (sic) party account the shipper (QP Distribution) is still responsible for payment if the thrid (sic) party shipper (Ascend Beyond Publishing)does not pay the shipping bill. That was a cause for concern because Ascend Beyond Publishing was steadly (sic) on the collections list as 90 day late and required collection calls. This economy has been hard on many business, publishing has been hard hit. 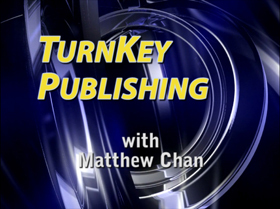 I do feel for Matthew Chan at Ascend Beyond Publishing I wish he would have been able to sell his books rather than to need to have them destroyed. The fact still remains that Matthew Chan abandon his books at QP Distribution although he was kind enough to provide QP Distribution with written permission to discard his books saving QP Distribution the cost of legal leins (sic). I appreciate the ability to respond to the complaint There are two sides to any dispute. I disagreed with his characterization of me, my account, and recounting of the story. You can read my rebuttal from July 15, 2011. First, I want to thank BBB of Kansas for coordinating the current communication between myself and David Schaefer, President of QP Distribution. Quite frankly, I am surprised that there was any response at all given my rejected Certified Mails and the fact that Patty Wimmer’s ineffectiveness or unwillingness to get David Schaefer’s attention early in this matter. Nevertheless, I am gratified that he cares enough about the BBB’s involvement to make a reply. However, now that David has at least made one reply, I will, in turn, make my counter-reply. The BBB asks me ”Do you accept the response from the business?” I can emphatically and absolutely say ”NO” based on the fact David’s reply is riddled with inaccuracies which I have no problems putting in writing or publicly challenging. David’s replies are distorted either based on Patty Wimmer’s misinformation or a mischaracterization of what was actually communicated to him. Nevertheless, I cannot allow his communication to stand without corrections and rebuttals. My issues with his reply is itemized and outlined below. 1. David comments that QP Distribution charges $25/month for 3 pallets of book. I would like to clarify that has NOT always been the situation. It used to much more. It only became that way because I actively pursued measures to reduce my storage fees in 2010. In fact, it was that whole incident that caused the first major friction between myself and QP Distribution. I already discussed this incident and how it compelled me to look deeper into their fee structure and how they truly operated. 2. David states that I requested a quote to have the book inventory destroyed. That was only a side consequence because I refused to be continually entrapped by QP Distribution’s ongoing hidden and marked up fees. I could tell what the future would hold based on Patty Wimmer’s inadequate, unbending, and uncooperative responses. 3. David states that I was informed there were two rates of book disposal. This is an absolute fiction. If his information is from Patty Wimmer, then she is concocting the story because I still have copies of my email exchanges with her, not to mention the Certified Letters I sent which she had ample opportunity to respond to. I asked Patty point blank about the whole 12 cents per pound quote and never once did she mention any other rate options. I was finally forced to dig out and read the original QP Distribution price sheet and agreement. And not only did she continue to quote the 12 cents per pound despite the fact the 5 cent per pound option was listed, the quote did not add up which I questioned her on and received no direct response on it. I only found about the $7.75 per title fee after I did my own digging. How is it that I as a customer have to do my own digging and she could not ask clarification from ”Brian” (I think) the warehouse manager. 4. Another inaccurate statement by David is that I asked for a shipping quote via UPS Ground. I stopped using QP Distribution’s UPS Ground service 3 years ago because I discovered the huge markup (and profit center they do not disclose) and have always requested using my own FedEx account. This can easily be proven by looking at prior invoices and statements from the last 3 years. My problem with QP Distribution is that they punish their customers by using another shipping service instead of their marked-up UPS Ground service when it requires very little difference in actual work. And regarding the so-called responsibility of their paying for my shipping charges if I don’t pay the is entirely bogus where I am concerned. My FedEx account is directly tied to my American Express account so payment FedEx bills me very quickly. I, in turn, pay American Express in a timely manner. And even if I didn’t pay American Express, FedEX would not be penalized and hence not ever impact QP Distribution. 5. I am especially angered by David’s comment that Ascend Beyond was ”steadily on the collections list as 90-days late and required collection calls.” EXCUSE ME. What collections list and what collections calls? It is true I was occasionally late because it was a small amount and I was careless. However, over the years I consistently corresponded with Patty both on the phone and through email. I am entirely reachable. I challenge her to provide any proof that she ever made one collections call to me or sent me one email on the matter, EVER. In fact, during our phone discussion of the unannounced $6.50 late fee, I asked Patty directly on the phone why she didn’t try to call or email me once if the situation was so bad. She told me because I had always paid my account in full which is entirely true. I should add that David may think he is painting his company in a positive light by saying this. However, my personality is such I will fight to my dying breath to challenge a false statement to my business reputation. I have no problems admitting I was late up to 90-days at one point. However, let’s keep this in perspective. At $25/month, it wasn’t this huge debt I was incurring. I absolutely and unequivocally contend that if Patty had even bothered to email me or pick up that phone to call me (which she has a bad history of returning phone calls in a timely manner I might add. I refer back to the first major incident in 2010 again. ), I would have taken care of the bill. As I was attempting to close the account out, I even paid another month of storage for the 30-day notice. 6. I also object to David’s implication that my desire to terminate from QP Distribution had anything to do with the economy and lack of book sales. It is true book sales have been slow but that does not diminish the fact that I actually value my book inventory greatly. It actually pains me to have to discard them now. In fact, I ordered more to stock my personal office. But Patty Wimmer seemed determined to charge every fee she could to the point even demanding advance payment for services not yet rendered. It was at this point I thought long and hard about what was most important to me. Out of principle, despite my current need for more book inventory, I chose to not give QP Distribution one more opportunity to send me another invoice for any reason. They unknowingly pumped me over the years but now that I know, I refuse to be part of it. And even when I was trying to exit the relationship gracefully nearly to the point of begging, Patty Wimmer pushed me over the edge with her so-called policy statements. 7. I object to David’s statement that I ”abandoned” my book inventory. I did not ”abandon” my book inventory. If I truly abandoned them, I would have not made efforts to get some book inventory and close out the account gracefully. I would not have made my account current minus the bogus charges and any storage fees past what I gave notice to. Further, I would not have escalated this to the BBB to directly acknowledge this matter. I was sent bogus invoices by Patty Wimmer which necessitated me to escalate my complaint and this matter to the BBB (and further if necessary.) Abandonment is someone slinking off silently in the middle of the night informing no one of what you are doing or why you are doing it. This is NOT ”abandonment”. This is making a stand of not being extorted or being dependent on a business that is determined to pump you not matter which way you turn or what you do. It is also making a stand against the ”my way or the highway” approach. It is also making a stand against arbitrary and unilateral price or policy changes with no regard to proper due process. 8. And despite my anger and disgust on how this business relationship has ended, by David’s own admission, I still gave QP Distribution a way out through the written consent to dispose of the books as he saw fit. That is not ”abandonment”. 9. David says there are two sides of the story. Well, aside from a few statements, I have no hesitation to say to him or anyone else he has been severely misinformed by Patty or he is trying to create a new story. My inclination leans towards Patty not entirely being truthful with David. I would like to point out I have exhausted many hours researching the matter, consulting others on this situation, and writing letters and rebuttals. At this point, the only way I will let this go and consider it resolved is if I get a written response from David that my account with QP Distribution is closed and everything has been settled in full. If they choose not to do this, than I will continue to remain vigilant against them and reporting the matter. On July 20, 2011, David Schaefer writes a rebuttal to my comment. He has backed off a bit as you can read. However, this matter is still not resolved to my satisfaction as my upcoming response will explain. Thanks, to the BBB of Kansas for providing for this forum to resolve business issues. We have recycled Ascend Beyond inventory released to QP Distribution for disposal earlier this year. We would be happy to close Matthew Chan’s account at QP Distribution. Per our written contract with Ascend Beyond, Matthew Chan, dated 8/13/2003 he agreed to the disposal charge of 5 cents per pound. The total pounds disposed of is 3547 pounds or a disposal fee of $177.35. Although I did recycle the books I only did this because I felt is was the right thing to do and I take financial responsibility for this action (recycling cost 12 cents per pound because the glued spines need to be removed from the books as well as the laminated covers). But clearly our written contract with Ascend Beyond does provide for just simply throwing them away in the trash. I feel that Matthew Chan wants to take responsibility for his inventory he has clearly stated that he has not abandoned that inventory and wants his account closed. In an effort to move forward I suggest this solution. Matthew Chan split the cost of the disposal equal to $88.68. The payment of $88.68 be made as a donation to the Better Business Bureau of Kansas, Incorporated. Once that donation has been received QP Distribution will close the account with Ascend Beyond and consider the matter closed. My rebuttal from August 10, 2011. On the surface, David’s offer sounds like a great deal except that it is ingenous. He knows that other people may read this complaint and wants me to make a BBB donation on HIS behalf. Also, notice he entirely sidesteps and ignores the resulting consequences of my much larger financial losses due to the disposal of the books. In response to David Schaefer’s response on July 29, 2011, I appreciate that he would like to move this incident to a close but I insist on satisfaction. I find what he writes ingenuous and still misses the major points of what started this incident to begin with. Instead of simply just closing this out, he wants to put in a financial condition to squeeze something out of me just like Patty Wimmer did. I will no longer agree to be squeezed. To reiterate, I never wanted to close the account since I still had well over 2,500 books still in inventory that I paid for years ago and still had financial value to me. I would have been content to continue paying the $25/month storage fees. But through QP Distribution’s ongoing pricing manipulation, undisclosed fees, implied extortion, and Patty Wimmer’s poor business skills, it brought to me to an explosive point where I was forced to take drastic action. It appears both David Schaefer and Patty Wimmer don’t understand the incredible loss I had to take in book inventory to terminate this relationship. It was not an easy decision but I refused to work with an untrustworthy company. While my books were slow sellers during this recession, they were selling and I was in the process of restocking my office inventory when Patty Wimmer decided to try to ”throw the book” at me during the last month which led me to simply cancel everything. I refused to be extorted for more money. They were so adamant about continuing the $25/month storage fee and tacking on all their various undisclosed and not-agreed-upon fees, they miss the big picture. What I was forced to give up was inventory worth several thousands of dollars in sales and profits and here David tries to look gracious by simply going back to what was originally quoted in 2003 and then say ”split the difference”. I think not. QP Distribution may argue that it was MY choice but in practical terms, I had very few choices because they are in Kansas and I am in Georgia. The cost and expense to travel to Kansas and personally deal and oversee the inventory would have been too much not including getting a truck, the labor, and transporting it back to Georgia. Patty Wimmer made it perfectly clearly even if I had someone came out in person and hand-picked up the entire inventory en masse with a truck, she was going to charge full fare handling charges as if their staff had handled each and every case one-at-a-time. This was her way to extort more money out of me. The rationale she stated was that their staff would still have to bring it to the door or loading dock. I think that rationale is ironic given they were more than happy to RECEIVE and handle FOR FREE all the books and transportation costs I paid multiple times to deliver them to their warehouse years back. So David now ”graciously” disposes the inventory (because I gave him written authorization during this process) and he finally decides to go back to what I had explained to Patty Wimmer multiple times (but she was too ignorant, unempowered, lazy, or incompetent to understand). As a reminder, she also gave no indication she escalated my complaints to David at all. I find it offensive that that David is trying to tie my complaint to my having to make a contribution to the BBB. And while I am happy for the BBB’s involvement in this, David needs to realize that I have begun to publicly air my grievances with QP Distribution for all who care to read. And I know what agency I will be contacting next if David chooses to leave the matter open and the BBB complaint remains unresolved. I stand by the reasons I have stated in this and in my prior letters. Further, the BBB is a non-profit organization that exists for these types of matters. Having spoken to Bruce Ward during my initial complaint stage, he stated that this is a free service they provide. If David wants to make a contribution to the BBB, he can make the contribution himself. I won’t be doing it. It is his reputation, Patty Wimmer’s reputation, and QP Distribution’s reputation at stake. Yes, my reputation is also at stake except the difference is I have been proactive and very transparent in my case. I have thoroughly prepared my case documents for anyone to see and read. I have been angered beyond reason by this entire incident and the amount of time I have already put into this. My losses by having to give up my book inventory far outweigh any so-called losses he may have incurred to dispose of the books. I warned Patty Wimmer what would happen if she could not be reasonable and abide by our initial agreement. I even informed her I would escalate the matter to the BBB and beyond. She was very non-chalant about it and said for me to do what I needed to do. She even had the nerve to continue sending me invoices which inflamed the situation further. I surmised she thought it was an empty warning on my part and that I was bluffing. She clearly has very little insight and experience in handling these types of matters. Sticking your head in the sand doesn’t make the problem or complaints go away. And sending MORE invoices and adding BOGUS charges doesn’t motivate people to cooperate. I told her I was not bluffing and I hold to my convictions. As I said, she didn’t care and now everyone can read about her excellent management skills. Based on David’s latest comment, I unequivocally refuse the terms he proposed as he still doesn’t get the magnitude of my losses as a result of his company’s actions. I have lost enough already in so many ways already discussed. I am not paying one cent more to anyone as it relates to this matter. And I will continue to aggressively fight this to my dying breath. By fighting, I don’t mean passively responding to letters. I will make it my personal mission to continue educating independent publishers and authors through blogging, videos, social media, and other platforms to educate the scams and extortion perpetuated by the book warehousing industry and specifically my 8-year relationship with QP Distribution. If David Schaefer refuses to close my account and insists on adding charges, that is his prerogative. Then my entire set of written complaints will continue to stand unresolved as a black mark against QP Distribution on the BBB’s record. Yes, I am fully aware it is ”only one complaint” but the very next time another unhappy publisher and author decides to research QP Distribution, you can believe I will be happy to give the BBB explicit written permission to give out my contact information as ”unsettled” and ”unresolved” complaint. And I am very confident they will be able to easily find me and the complaints I have lodged against QP Distribution along with the supporting documents. To the BBB, as far as I am concerned during this moment in time, my complaint remains unresolved and unsettled due to conditions David Schaefer placed on closing my account. The reasons for my position have been exhaustively discussed above and prior letters. On August 12, 2011, The BBB sends a letter to both David Schaefer and me asking to resolve the situation and to NOT tie the resolution to a donation to the BBB. At this point, Bruce Ward loses patience with this case and primarily interested in closing this case quickly. I object to some of his sweeping comments. I am in receipt of your letter dated August 12, 2011. I understand your position and statement that you are trying to expedite a resolution. I am grateful to your efforts to assist in this matter. However, as I had told you during the initial complaint, I had no false notions that this would be easily resolved to my satisfaction. Certainly, some progress has been made but I am very clear in my position. For the record, you might consider my communications an “endless rehashing of the history”. However, that is not entirely true. I added additional explanations and distinctions because of David Schaefer’s responses and rebuttals. powers are limited in such matters. Having said that, I will directly address and answer your question. I will not pay any more monies to QP Distribution for the many reasons I have previously described. I guess the BBB will have to record this case and complaint as UNRESOLVED. I understand you do not want the correspondence to go on endlessly. Neither do I. Thank you for your attempts to assist in this matter. On August 26, 2011, David Schaefer issues a short response. Instead of just letting things go, he wants to squeeze out another $88.68 from me. This is very much in the spirit of the reasons I ultimately had to take drastic measures to terminate the business relationship. First, I would like to apologize for suggesting the settlement be tied as a donation to the BBB. I was only thinking that it would be easier for Mr. Chan to write a check to the BBB rather than to QP Distribution. I have received your letter dated 8/12/2011. QP Distribution is willing to close the account with a payment of $88.68 1/2 the cost of the disposal fee. This offer is good until September 15 2011. After September 15th 2011 we would revert back to the written contract and turn the matter over to collections. I appreciate the good that the BBB does for the business community and thank you for your efforts. Below is my final response to the BBB as to why I cannot in good conscience accept David Schaefer’s so-called “good faith” offer. I admit it was very tempting to simply pay the $88.68 to resolve all this. It was almost too simple. I actually had to contemplate the offer for a few days. Clearly, paying $88.68 is something I could have easily done. Except that when I go back to how this all started, once again, they are up to their old tricks of unilaterally deciding what they will permit. David only conceded to begin with because I aired so much of their less-than-honorable business practices. I am in receipt of David Schaefer’s response to your letter from August 12, 2011. I apologize for the delay in response as I had to dig out a recent QP Distribution Inventory Report to get information to complete this letter. I will not repeat what has been said before in painful detail. However, going back to the very beginning of the complaint, I asked for my account to simply be closed unconditionally. Despite my long letters outlining what transpired and explaining my position, it still appears to be insufficient to close the account unconditionally. Since he has attached a condition to closing the account subject to collecting the contracted disposal fee, I will agree to pay 100% of the contracted disposal fee if he reimburses my book costs of 2,706 copies at $4.00 each totaling $10,824.00. I will also forego claiming the average $3.00 profit per book x 2,706 copies totaling $8,118.00. I earlier stated that I never wanted to close the account and dispose of the books. I was forced to do so since they clearly had unilateral power over my book inventory and there was no practical way out except to terminate the relationship remotely. In his response, David states his intentions to escalate the matter and send my account to collections after September 15. That is quite unfortunate. Although I was content to simply close the matter without any counter-claim, he may ultimately compel me to file a counter-claim in addition to escalating my complaint. If he escalates the matter legally, I will be forced to counter-claim the amount of $18,942.00 detailed above in the letter. My position remains unchanged. I respectfully decline David’s offer on the condition that my losses far outweigh his by a HUGE magnitude. The fact that I simply asked for a simple closing of my account without any conditions was very generous on my part. I guess the BBB will have to record this case and complaint as still UNRESOLVED. On September 12, 2011, the Bruce Ward administratively closes the Complaint. It’s his opinion that QP Distribution made a “good faith effort” to resolve the situation. What about the 2,700 books I had to sacrifice along the way to finally close this account? This “little detail” has been entirely ignored. I was actually being generous by giving written permission to QP Distribution to dispose or even resell the books vs. them trying to go through the court system to gain legal possession to dispose of them. Anyone with any sort of common sense can see that I took a tremendous financial loss simply by asking for a straight and easy closing of the account. But David Schaefer still wanted to complicate the matter by squeezing another $88.68 out of me under the farce of a “good faith” offer. The BBB communication phase has concluded. I have a few more comments I want to make but I want to let some time pass before I make a “big picture” analysis of the overall situation. If this entire situation you are witnessing scares you or makes you take pause before working with any book warehousing or book fulfillment company, it should. It is very easy to get into and nearly impossible to get out of without getting financially raked over the coals. They hold most of the power by virtue of them holding your inventory. They quite literally hold your inventory hostage. And they can draw the process out infinitum all the while charging your account.